With a summer season that stretches from May through October, Mykonos has long been a favored yacht-stop of the rich and famous. But it wasn't until fairly recently that moneyed visitors would even contemplate a stay on the shore - let alone in one of its family-style hotels. At least until there was the Belvedere. And with it everything changed on Mykonos, which in recent years has outpaced St. Tropez, Marbella and Ibiza as summer's it-spot. Belvedere has long been our favorite Mykonos hotel, with its outpost of Matsuhisa and lively poolside scene that morphs into a cocktail party at night. But sadly, it's this public accessibility that has many seeking more-private addresses around the island managed by companies like Aqualiving and Wimco Villas - that’s all-new to the island this year. In terms of hotels, Myconian Collection struts an all-new look for its designer properties that now include Myconian Korali managed by Relais & Chateaux and Myconian Kyma by Design Hotels. While their removed location is a challenge to those that prefer evenings in the main town, their proximity to top beaches like Elia and Panormos coupled with incredible in-house eateries make them formidable alternatives to Belvedere and Cavo Tagoo. By day, high season in Mykonos is all about avoiding or simply embracing the crowds. 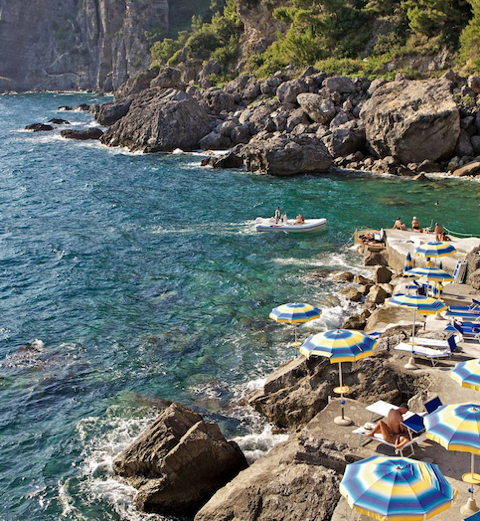 Isolationists should try for the late-3pm lunch seating at Kiki's or Spilia, that are each an island must, before heading to the far north of the island where Lia Beach beckons with a deserted stretch of beach and whimsical beach club that’s often enjoyed alone late in the day. For those that embrace the crowds, Scorpios Mykonos continues to be a phenomenon with its highly-praised restaurant of traditional Greek specialties and ingenious fish dishes in an expanded terrace dining room for 2017. Afterward, its Sunset Rituals (pictured) are best enjoyed with a boho turban bought at the on-site boutique inspired by Tulum. Nammos is still a scene with expanded VIP lounges that are new this year as well as Buddha Bar Beach that continues to lure a crowd to its spiritual cocktail perch above Ornos Santa Marina. By night, many of the favored eateries of town continue into another year including Interni, Bill & Coo and M-Eating. New for this year is trendy Koursaros, a Greek-inspired fusion eatery that marries sushi with more-traditional grilled fish dishes in a stunning outdoor dining room open until 2am. 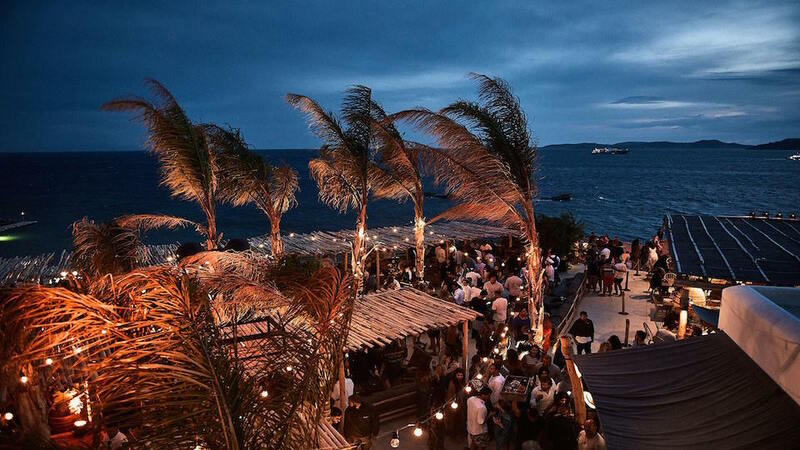 Afterwards, hit the newly remodeled Caprice or head-out to Cavo Paradiso that's upped its DJ line-up for 2017 with Steve Angello, Axwell, Robin Schulz and Duke Dumont all defining summer sounds in Mykonos.